This license plate frame will tell everyone your priorities - in order. 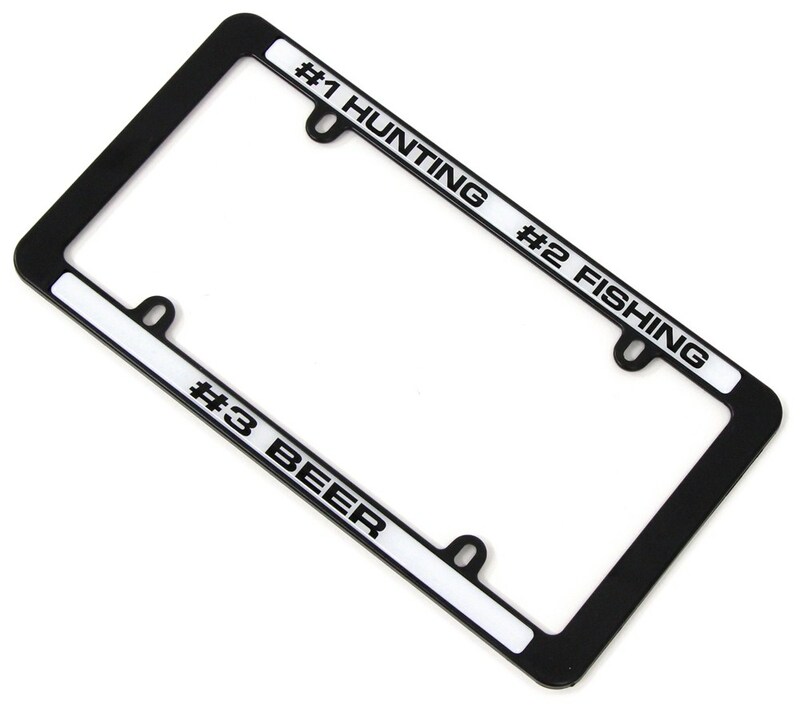 High-quality plastic frame displays "#1 Hunting, #2 Fishing, #3 Beer" printed in black letters on a white background. 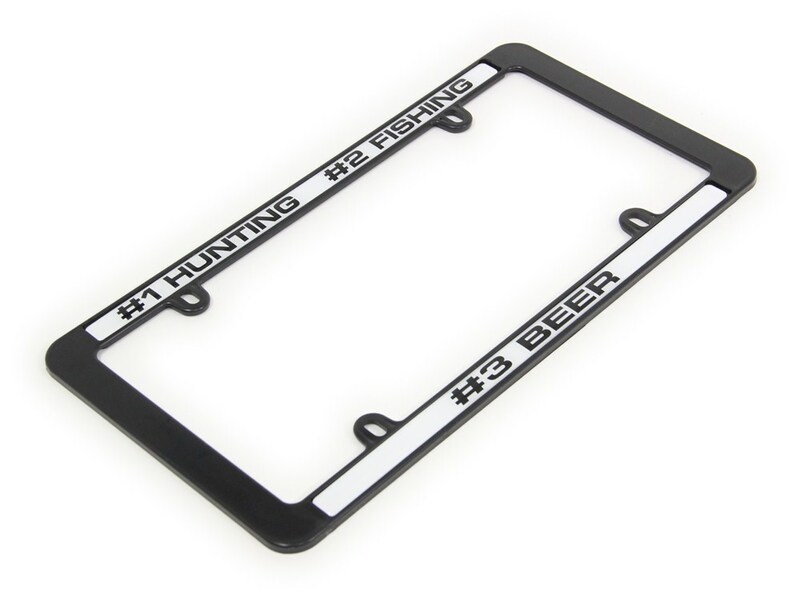 Fastest Shipping and Guaranteed Lowest Prices for #1 Hunting, #2 Fishing, #3 Beer License Plate Frame. Read our customer reviews of Knockout license plates and frames. Call 800-298-8924 for expert service or order your license plates and frames part number KD4001 by Knockout online at etrailer.com. This license plate frame will tell everyone your priorities - in order. 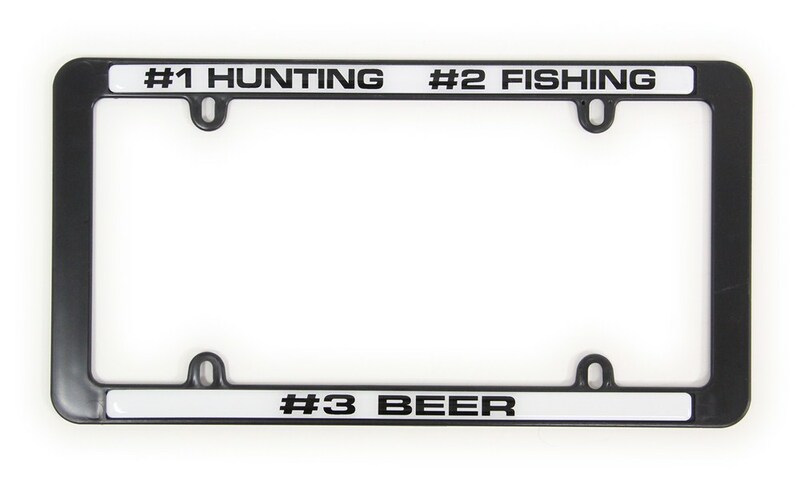 High-quality plastic frame displays "#1 Hunting, #2 Fishing, #3 Beer" printed in black letters on a white background. Note: Check your states regulations before installing. 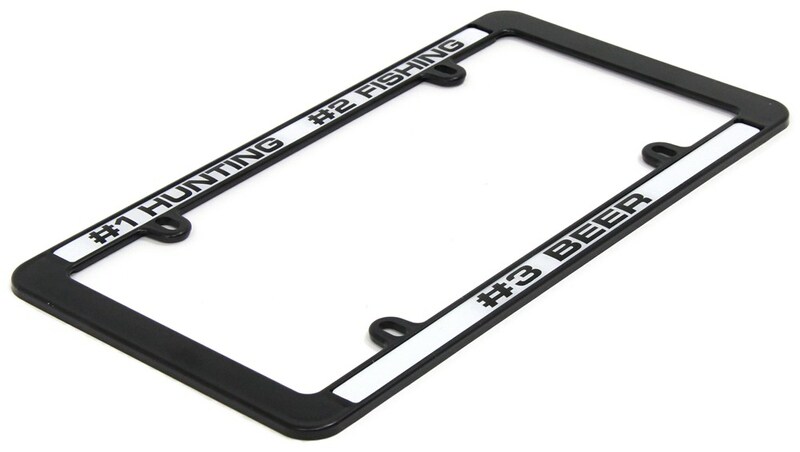 Order: RelevanceNewestRating - High to LowRating - Low to High This license plate frame will tell everyone your priorities - in order. 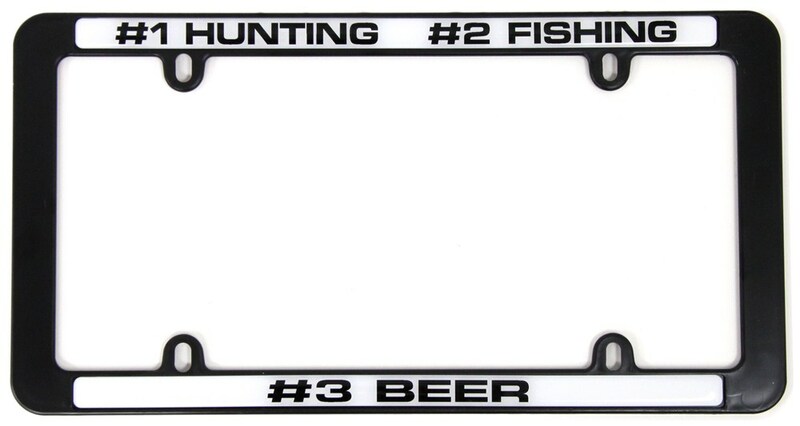 High-quality plastic frame displays "#1 Hunting, #2 Fishing, #3 Beer" printed in black letters on a white background. When I ordered the frame, I thought the lettering was molded into the frame. I was wrong. The lettering is printed on a piece of film that is glued to the plastic frame. After a couple of weeks the film at the top of the frame started coming loose. I pressed it back on but about half of the top film keeps coming loose. I am going to try and locate some adhesive to re-glue it before it completely falls off. The bottom half of the phrase doesnt make any sense by its self. If I had known the lettering was just glued on, I wouldnt have purchased the frame, even for the $14.95 price! No, I will not buy another one, and no I would not recommend it to anyone! Do you have a question about this License Plates and Frame? Highest quality license plates and frames for the best price. Most detailed, accurate license plates and frame information available.